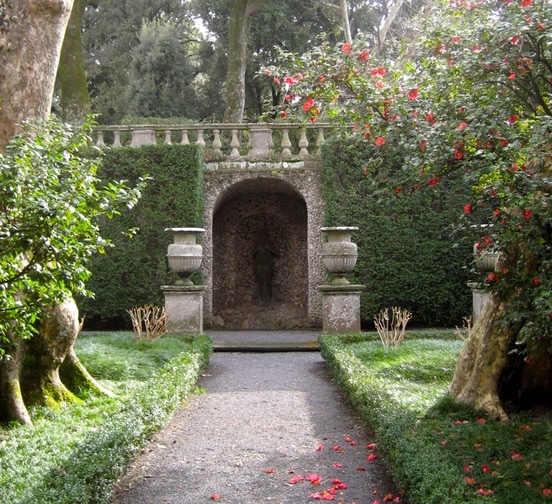 Architecture, walls, statues, urns, hedges, cypress and other trees form the unique spaces in Italian gardens. Symmetry contrasts with ‘wild’ woods. Enclosed spaces open up to views. 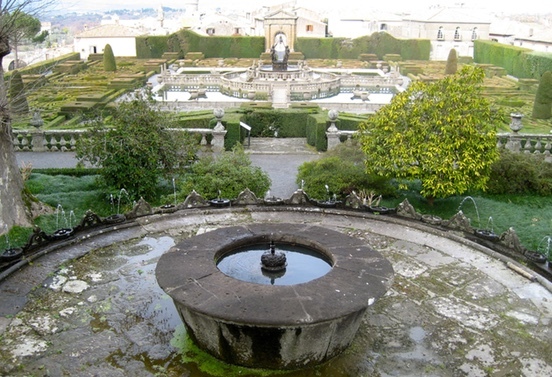 The significance of Italian gardens is not flowers and abundant blooms. The harsh hot summers and hilly terrain of Italy created a desire for shade and protection – garden ‘rooms’ that open up to the view, contrasts of formal, trimmed hedges with ‘wild hunting grounds.’ Even after over 400 years, the main structure of the gardens endure in the organization of architectural walls, stone steps, paved paths, geometric spaces, rhythmic openings, trimmed hedges, shrubs and trees. Powerful metaphors and allegories were woven into the design and enhanced by statues, often taken from Roman ruins. Many of the statues have been removed yet the strength of the gardens is evident. Layers of history and centuries of visitors add to the patina that time and weather have created. Come experience these spaces for yourself! I found a great video explaining Renaissance Gardens very succinctly. Curator Bryan Keene, of the Getty Center, on the lure, romance, tranquility, and sensuality of gardens as depicted in Renaissance art.